1:18 Scale garage equipment accessories. 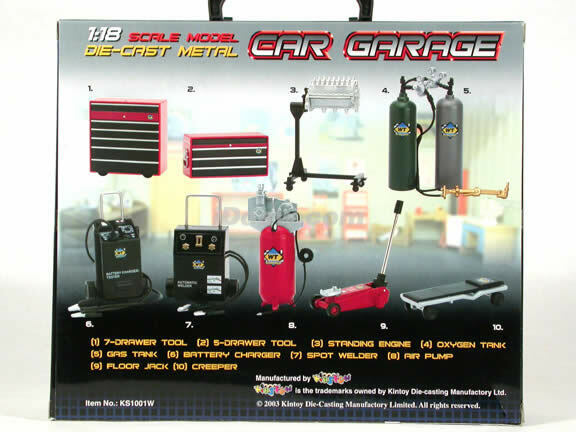 These diecast metal garage equipments are great for creating diorama for your diecast collection. 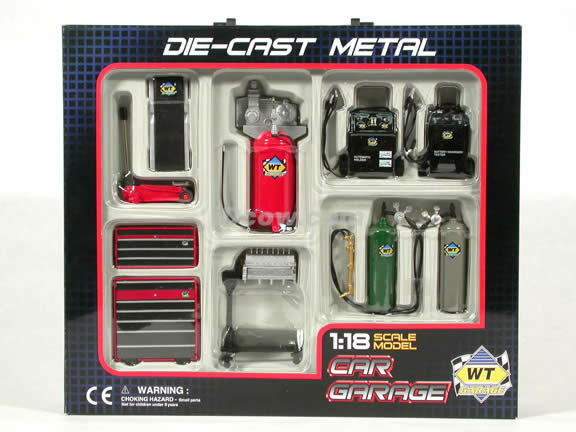 Kit comes with welding torch, battery packs, air compressor, engine stand, tool boxes, floor jack, and creeper.